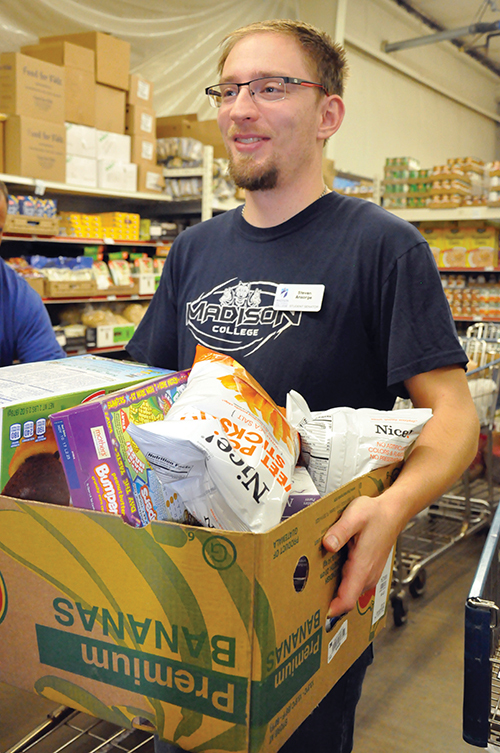 Madison College Student Senate President Steven Ansorge volunteers at River Food Pantry, one of the groups that will be at the Food Insecurity Resource Fair on Oct. 16. Last year Student Senate did a hunger survey, polling students to see if they were able to eat on a regular basis. At least 37 percent of those who responded said they had to skip meals because they couldn’t afford them. A percentage in the high 30s is eye opening enough, but what came as a surprise was how little was known about how to get help with food insecurity. To help students become aware of the resources that are available to them, a Food Insecurity Resource Fair will be held on Oct. 16 from 10 a.m. to 2 p.m. in the WolfPack Atrium (the open area by the coffee shop). At the fair students will be able to stop at each table and grab a food item and find the nearest place that will be able to help them. “There is a large community that already recognizes this issue, we just need to connect a cohesive network,” said Student Senate President Steven Ansorge of the different pantries and organizations around the community that want to help. 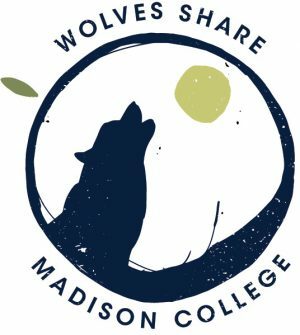 The fair is part of an initiative called Wolves Share and put together by a united effort from a food insecurity impact team that includes the Student Senate and two UW-Madison students, Abigail Sann and Susan Maloney who saw newspaper reports about the survey. Ansorge himself has struggled with food insecurity and doesn’t want other students to be afraid to admit if they need help. The fair will be a place where students who are food insecure can see that they are not alone. Once the fair is over Student Senate, the impact team and the college will continue to look for ways to help students. The college itself has put aside $75,000 for increasing food security. One of the possible things that the money could go towards is a mobile food pantry that would come to the Madison campuses, and have other local organizations work with the other campuses where students could grab food right from the college. The impact team along with senate and the college will continue to work on policies that can both be an immediate impact and a long term solution to helping students become more food secure.